Title : T'ien-ch'i. Date : AD 1621 to 1627. Denomination : Bronze 10 cash. Size : 46.5 mm. Weight : 23.20 grams. 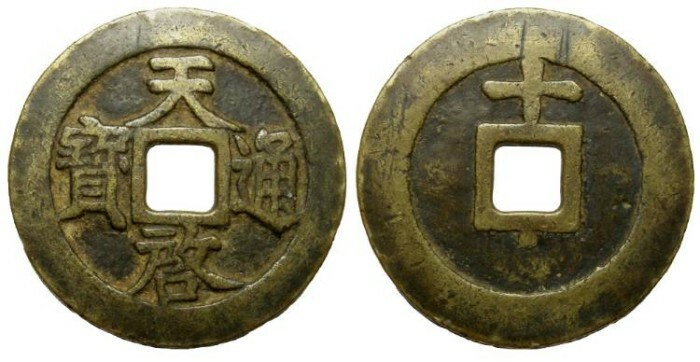 Reverse : "SHIH" at the top (the number 10) with a small dot just below the central hole (touching the rim).